Metaverse Cultural Series – AvaCon, Inc.
As part of the Metaverse Cultural Series, we ask what impact may the metaverse be having on our world now, and how might it impact the global community in the future? Stay tuned for upcoming future Metaverse Cultural Series events! Avatar BellaLuna Xigalia will present her Mixed-Reality collaboration with RL “Reality-TV” Producer, Roz Taylor Jordan who will be joining us in-world for the very first time. Videos of their work together in the past two years will shown, which include testing for life-size Holographic Projection for Avatars and BellaLuna’s new work titled “Quantum Superpositioning for Performance” using advanced Multisensory and Neurogaming technology. Roz Taylor Jordan has been a Casting Producer for the biggest Emmy winning shows in Reality Television. There is no genre, age range or subject matter she hasn’t tackled working on shows like, Survivor, America’s Got Talent, The Amazing Race, Outback Jack, Who Wants To Marry My Dad, The Dr. Phil Show, Average Joe, The Bachelor, Kid’s Say The Darndes’t Things, and Who Wants To Be A Millionaire. Patty Rangel (RL) / BellaLuna Xigalia (SL) has been a former guest speaker at the National Second Life Community Conference (2011). It was there that she co-presented her research completed at NASA Ames that same summer for “Brain-Computer Interface for Avatars”, in addition to previous R&D completed in 2010 in New York City and San Diego for “Holographic Telepresence for Avatars”(which was a proof of concept where two Second Life Avatars performed as life-size holograms on-stage with a live musician) and “Markerless Motion Capture for Avatars”. Isabel Valverde aka Butler2 Eveyn is a transdisciplinary performer, choreographer and scholar from Portugal. 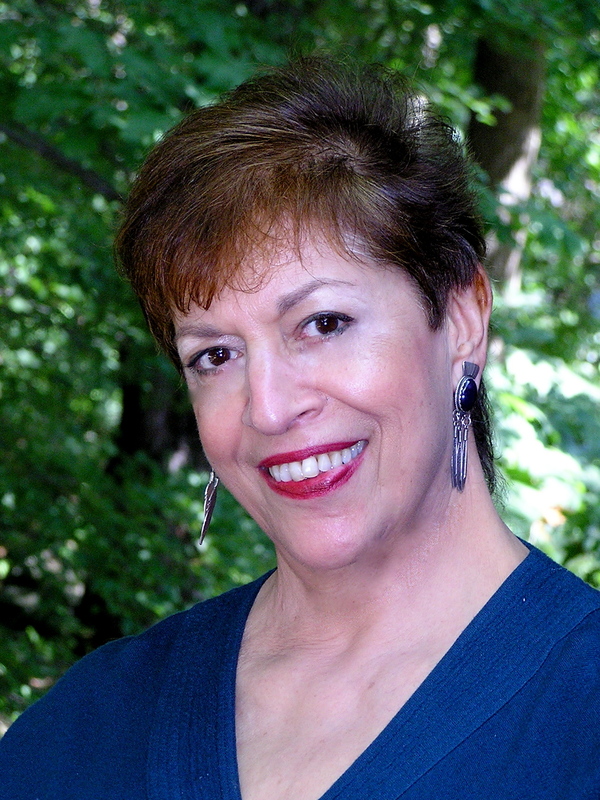 Isabel has been developing experimental solo and collaborative work since 1986 and she graduated in Dance Theory and History (UCR), Interdisciplinary Arts (SFSU), New Dance (SNDD/AHK) and Dance (FMH/UTL). 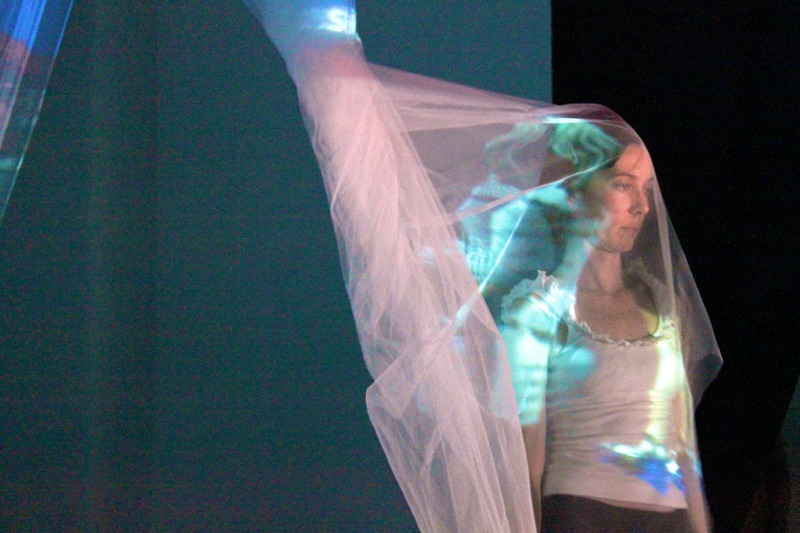 Isabel’s doctoral thesis, “Interfacing Dance and Technology: a theoretical framework for performance in the digital domain”, was translated into Portuguese (FCG/FCT, 2010). After completing a postdoctoral (BPD/FCT) she continues research in Dances and Technologies at GAIPS/INESC-ID, and coordinating the Center for Arts and Technologies/Institute for Human Studies and Intelligent Sciences, including performance practice-theory, cross-disciplinary and cultural collaboration, participatory performance environments, somatic based choreography, and experience design. While online MMORPG and computer games have often made great strides towards being open ended, they do not offer the possibilities that the metaverse can. In virtual worlds, gamers with a vision can create their own version of a favorite universe or story and friends can join in. This presentation will review role playing and story telling in virtual worlds and discuss the various methods and approaches that the metaverse provides to make your dreams and adventures a virtual reality. 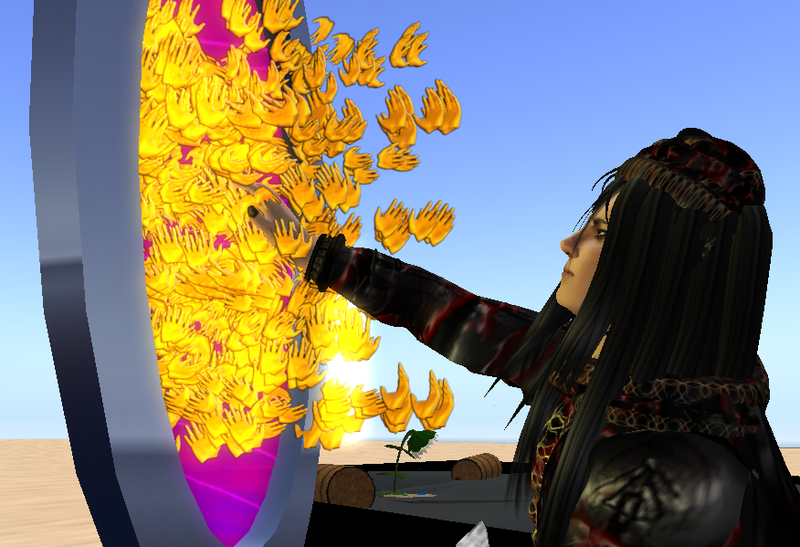 Alcibides Zemenis has been lecturing on RPG story telling for several years in Second Life, along with reading from his published work and poetry. The second edition of his novel “The Goddess of Pigland” will soon be released on Amazon Kindle. Al also runs the Alemzi Art gallery in Second Life. MineOpticon is an ensemble performance project and choreographic intervention into the MineCraft world. Situated on the CADRE Laboratory for New Media server “Orwell”, The MineOpticon stage is a conceptually inverted Panopticon populated by 8 performers who execute choreographic maneuvers using native resources in absurd and unexpected ways. In addition to their choreographic roles, MineOpticon performers are subject to all the same game mechanics as any MineCraft player on a server set to survival mode. Performers must remain well fed, during their rehearsals and performances or their avatar will literally die from starvation. Performers also run the risk of being attacked by Creepers, Endermen, Skeletons and other “mobs” while they are in the performance environment. Maneuvers include choreographed water drops, ensemble sound block performance, the synchronized release of fireworks and many other Minecraft native possibilities incorporated into a 30 minute spectacle with an original musical score by Yagiz Mungin. The performance also includes the spontaneous emergence of multigenerational participation that may be the subject of academic papers in the future. This event will take place in the virtual world of MineCraft, with a live viewing audience in the virtual world of Second Life as well as directly viewable online via the Metaverse Cultural Series Ustream channel. Silicon Valley based artist DC Spensley’s groundbreaking work in virtual reality art, augmented reality intervention, performance and participatory gaming has been exhibited internationally at venues like Yerba Buena Center for the Arts in San Francisco, Ars Electronica in Linz Austria, The Dutch Electronic Arts Festival in the Netherlands, Boston\’s Cyber Arts Festival and San Jose’s ZERO1 Biennial. DC received a Masters of Fine Arts from the CADRE Laboratory for New Media at the School of Art and Art History at San Jose State University and his BFA from the San Francisco Art Institute on full merit scholarship. MineOpticon is a 30 minute theatrical intervention into the virtual world of MineCraft staged at the CADRE Laboratory for New Media “Orwell” Server. Special thanks to curator James Morgan for his support. December 7, 2013 - Improvisations: Composers, Artists, and YOU! Improvisations: Composers, Artists, and YOU! Creative explorations in virtual world in real time! Come watch and listen as instrumentalists improvise to spontaneous builds by artists and vice versa. Participate by sharing your poetic images and associations in the chatbar. Enjoy the magic of spontaneous improvisation! Marly Milena, M.S. Ed (Avatar: Niela Miller), has been in Second Life since 2007. 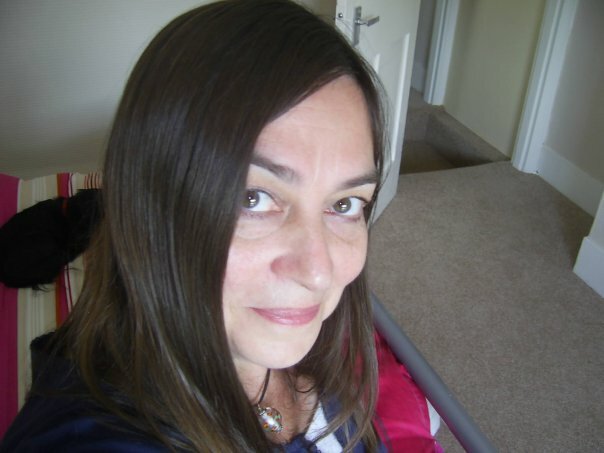 She has a background which combines many arts, group facilitation, humanistic psychology and education. Her business, People Systems Potential, has been devoted to a wide range of services for enhancing creativity, self-expression, personal and professional development and organizational innovation. She has been applying her skills and experience to new frontiers of virtuality.